Elves doing what Christmas elves do best - making toys, playing in the snow and having fun. 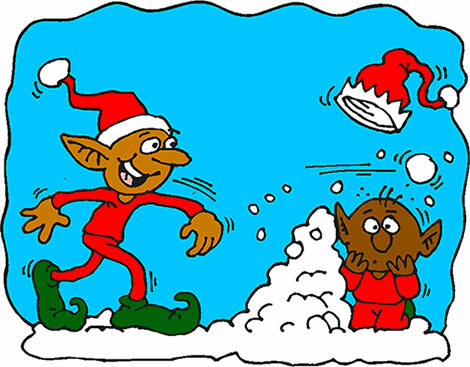 Each elf clipart image has a print view located below. This will open in a new window allowing for easy print or saving. 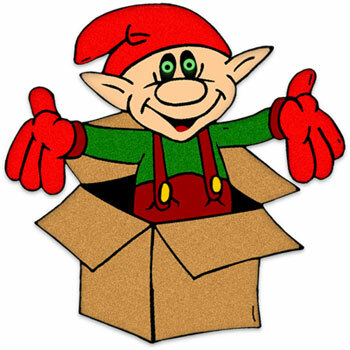 Christmas Elf standing in cardboard box. He has green eyes and shirt with red hat and gloves. Elf has a smile on his face and is offering a great big hug. Entire clipart image has a light glass filter overlay on white background. 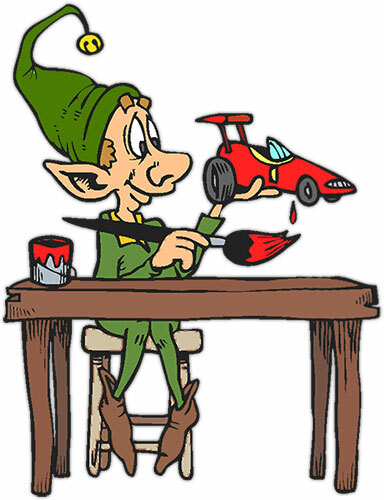 One of Santa's elves putting the finishing touches on a toy race car for a good little boy or girl. 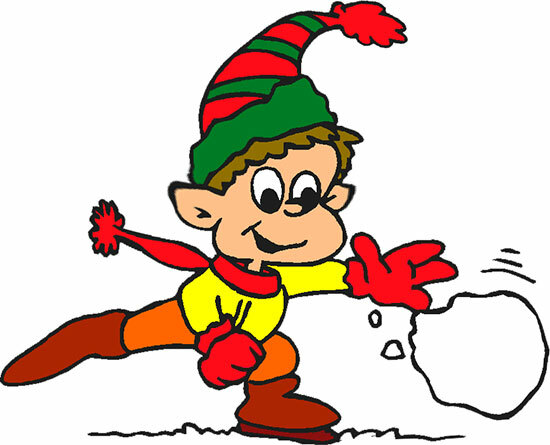 Christmas elf playing in the snow on a cold winter morning. Christmas elves enjoying a snowball fight. Well, at least one of them is having fun. Christmas elf getting ready for the big day. Santa has to have plenty of toys for the boys and girls including those that like toy airplanes. This little fellow really looks Christmassy. If you save and use our free christmas clipart please give us credit. Thank You.